Is it possible we’re all doing too much, we have too much and we’re actually giving our kids more than they’ll ever really need? 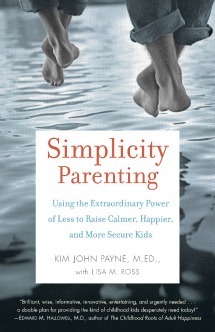 In the eye-opening book, Simplicity Parenting, Kim John Payne urges parents to simplify, concerned that "Our society — with its pressures of too much — is waging an undeclared war on childhood." Payne believes we're building our lives around the four pillars of too much: Too much stuff, too many choices, too much information and too much speed. He contends that the busyness, clutter, time pressures and distractions of our daily lives are actually robbing our children of living life at their speed. He says that we pull our children along into our "media-rich, multitasking, complex, information-overloaded, time-pressured" worlds, then we project our anxieties about that hectic life onto them. Simplifying protects our children's environment. A protected childhood, according to Payne, "allows for the slow development of identity, well-being and resiliency." Payne strongly believes too much stuff in a child's life leads to too many choices and overwhelming distractions. While he also touches on simplifying lighting, scents and sounds, he zeros in on the first step in simplifying your children's environment: dramatically reducing their stockpile of toys. Less is more. Parents will often seek out numerous toys to foster development and creativity, but Payne reminds parents that children naturally use and grow their imaginations. As you cut down on toys and clutter, "you increase children's attention and their capacity for deep play," according to Payne. On the other hand, an avalanche of toys can lead to emotional disconnect. Many parenting books discuss scheduling and consistency, but what I loved about Simplicity Parenting was how Payne described family rhythm. The book does point to how consistency and routines breed security, but the idea of your family keeping its rhythm makes it all feel so much more connected. According to Payne, increasing the rhythm of your home life is one of the most powerful ways you can simplify yours and your child's life. Over-scheduling, however, can have the opposite effect. According to Payne, "Rhythms establish a foundation of cooperation and connection." Rhythm calms and secures children. It also makes discipline easier by paving the way for order. "Too many scheduled activities may limit a child's ability to motivate and direct themselves," says Payne. Payne is not a fan of television for young children. He calls television the "direct counterforce to simplifying," an altar of commercialism, a conduit of clutter and refers to commercials as the "siren song of stuff." He says that simplifying the screens in your home is one of the most critical changes you can make to safeguard their childhood and ease your anxieties. He also hones in on how parents should filter out the adult world for their children. Filter your child's exposure to adult issues and concerns. They feed off your emotions. Say less: The more parents talk, the less they listen or notice. 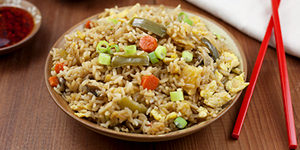 Real moms: Do you schedule your preschooler?